NEWTOWN SQUARE, PA—Apple Leisure Group (ALG) added 12 projects (new-construction and re-brandings) to its portfolio in the first half of the year, in seven locations across Mexico, the Caribbean and Europe. The number of rooms added to its development pipeline is equivalent to 50% of its existing inventory. Through strategic partnerships, the reach of its distribution channels, and its expanding resort presence, the company now serves approximately 3.2 million guests annually. In May 2018, ALG announced that it will bring AMResorts’ brands, Secrets Resorts & Spas and Dreams Resorts & Spas, to Europe. 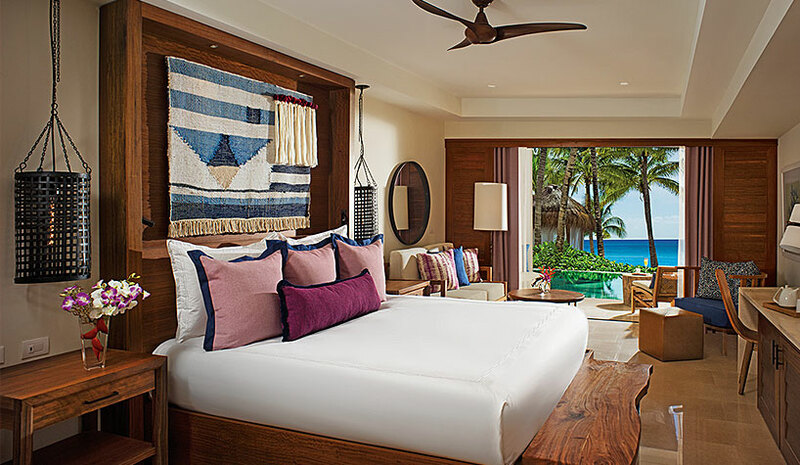 The company also announced the creation of Amigo Hotels & Resorts, a new three-star, all-inclusive resort brand catering to families and couples, emphasizing a high caliber of service and quality-driven F&B program. The company plans to launch the new brand in markets across Europe. To further support its growth in the market, the company also announced the appointment of Jordi de las Moras as managing director of Apple Leisure Group, Europe. In this newly created position, de las Moras will lead the company’s European expansion efforts. Among other things, he will develop and launch a marketing, sales and strategic partnerships to position ALG and AMResorts in the B2B and B2C segments. In June 2018, AMResorts and Grupo Hotelero Santa Fe signed a strategic alliance where AMResorts’ new brand, Reflect Resorts & Spas, and Krystal Grand will partner with resorts in Punta Cancun, Los Cabos and Nuevo Vallarta. The strategic alliance began on July 1. In July 2018, ALG also announced its entry into St. Martin with the signing of a new resort brand management deal to bring its Secrets Resorts & Spas brand to the island. ALG is also actively growing its distribution companies so they can support the development of its other business units as a collective power, according to the company. Earlier this year, ALG and The Mark Travel Corporation signed a definitive agreement to create an integrated leisure travel and technology solutions company. The acquisition also significantly increased ALG’s distribution network and led to the renaming of ALG Distribution department to ALG Vacations. ALG Vacations will better reflect ALG’s product and purpose following the Mark Travel merger, according to the company. To support the newly named business group, ALG also added Lynn Torrent to the company as EVP/president of ALG Vacations. Torrent is responsible for all aspects of the company’s tour and destination management businesses.